You've seen Neil Leifer photos, obviously, and probably heard him talk about his work some too. 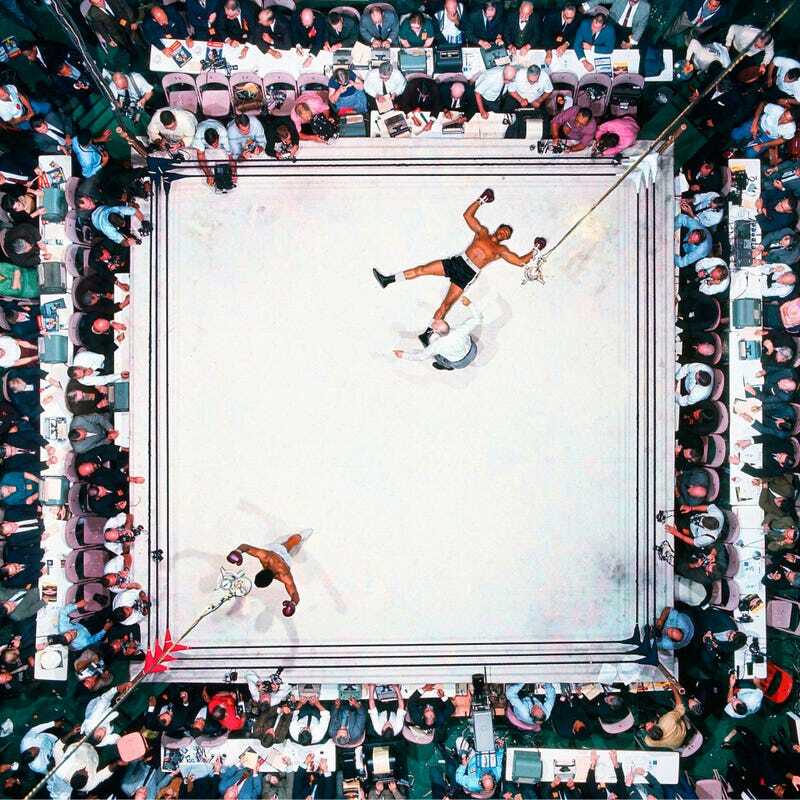 But Sports Illustrated has a hell of a collection up, with hi-res images of Leifer's best boxing work, like the overhead of Ali-Williams that Leifer counts as his favorite, to go along with text and video of Leifer explaining his work. SI is apparently going to make this a habit, highlighting the work of its best photogs over the years. This sounds awesome, obviously. Give the full piece a read—Leifer isn't so much a boxing wonk as a guy who's been around longer than hell, so he's got a bunch of stories like the time he went down to Ali's place to shoot him as he recovered from Ken Norton cracking his jaw, and ended up getting a shot of him slurping tapioca pudding for the cover.